** Nam Trieu shipard will be kept a part belong to SBIC as a department which controled by SBIC. The other parts will be transfered to Bach Dang shipyard’s control. – The development plan for the shipbuilding industry has approved by Prime Minister Nguyen Tan Dung , effective through 2020 and with a view to 2030.The plans aims to tap into the capacity of existing shipyards while constructing new yards and repair facilities. 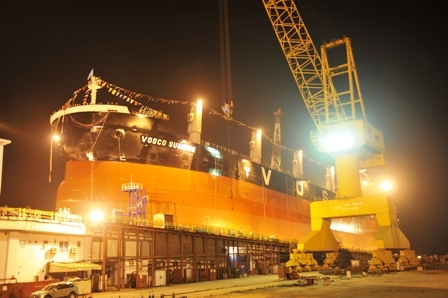 Under the plan, Vietnam also strives to establish a number of large-scale ship repair centres in connection with major sea ports and international maritime routes. B.1. 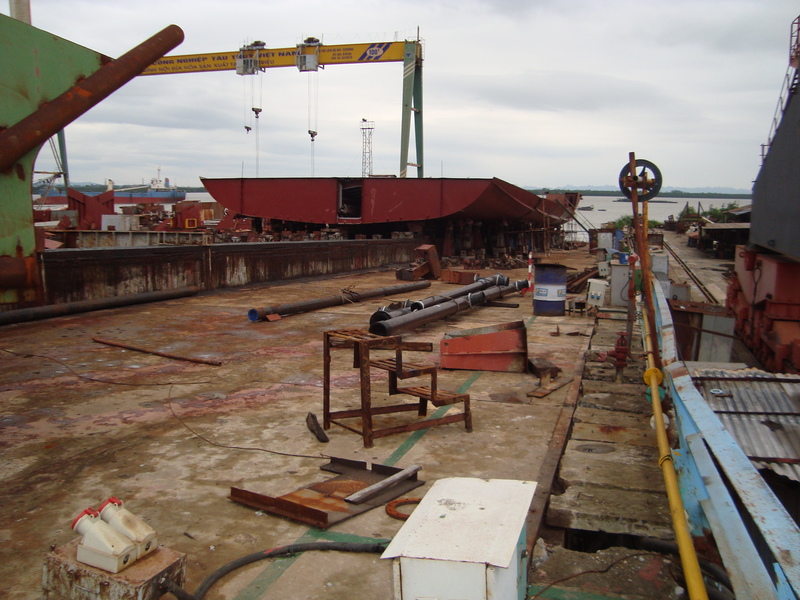 The uncompleted vessel project at its shipyards. 1. 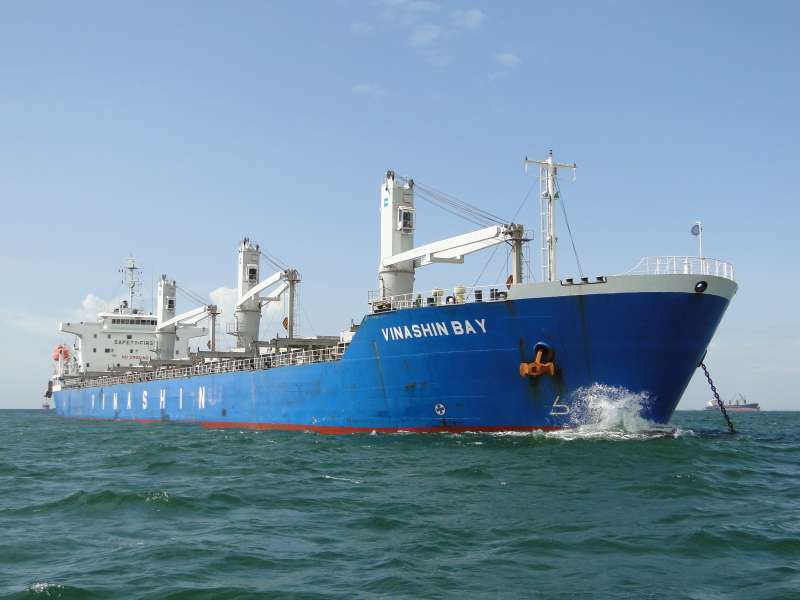 The bulk carrier 56,200 DWT ( NT02 ) : will be completed within 12months at Nam Trieu shipyard. The old owner is Vitranschart. 2. 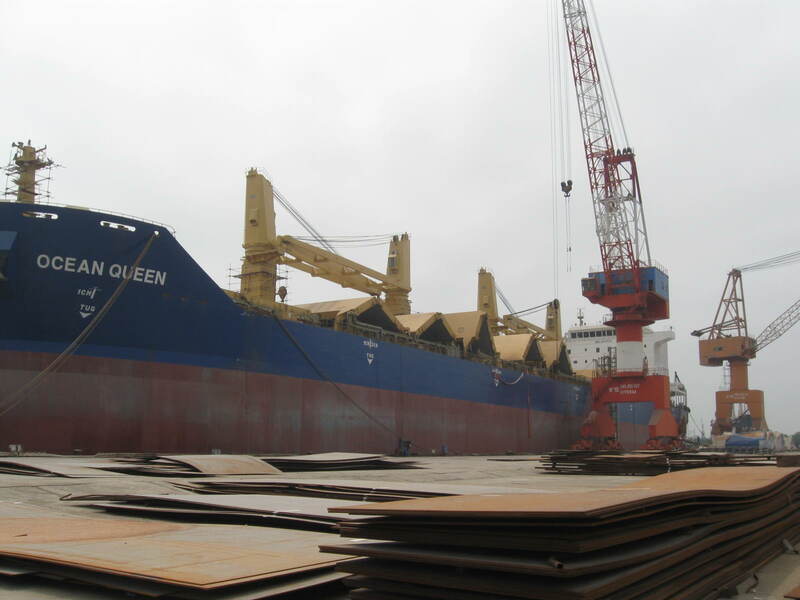 The bulk carrier 53,000 DWT ( NTA02 ) : will be completed within 01 month at Nam Trieu shipyard. The old owner is Hoa Ngoc Lan shipping company. 3. The bulk carrier 53,000 DWT ( NTA04 ) : will be completed within 15months at Nam Trieu shipyard. The old owner is Bien Dong shipping company. 5. The container vessel 1.730TEU ( V22 ) : will be completed within 1 month at Bach Dang shipyard. 7. The bulk carrier 34,000 DWT ( PR06 ) : will be completed within 18 months at Pha Rung shipyard. All equipments will be took from 700 TEU container vessel. 8. The bulk carrier 20,000 DWT – Vinashin Bay : will be completed within 1 month at SSIC shipyard. Its propulsion will be replaced the new one. 9. The container vessel 1,730TEU-V21 : will be completed within 1 month at Ha Long shipyard. The old owner is Vinalines container shipping company. 10. The bulk carrier 22,500 DWT : will be completed within 12 months at Cam Ranh shipyard. The equipment will be took from 22,5BC ( BV11 ) vessel. – Projects for DAMEN group. In the future, almost SBIC’s shipyards will construct the new building vessel for DAMEN group. Additionally, SBIC is also finding the new building projects from South America owner ( Argentina, Paraguay… ). This entry was posted in And also News, SBIC ( Vinashin ). Bookmark the permalink.